I understand that not every client wants to sign a long-term full service consulting agreement for 6 or 12 months. Maybe you need help with a particular issue, are seeking a website audit, or want feedback on a project. Different clients have different needs, which is why I have restructured my services. My new a la carte option pricing plans allow more clients to afford premium services without the long-term commitment. What is an SEO consultant? My name is Bradley Shaw. I have more than two decades worth of experience assisting companies just like yours. I am a lifelong online entrepreneur and data-junky who is growth driven by refusing to settle for less. I do not hide behind monikers, my company reviews and testimonials are easy to discover. I succeed at organic search because I believe in doing things right, I believe in quality. If you are someone who provides any of those three things, then I want to work with you. My search engine optimization consulting services are not limited to particular niches or vertical. I have consulted B2B, and B2C businesses in a variety of verticals achieve amplified exposure on Google. Lawyers, corporate trainers, doctors, insurance agencies, national mortgage companies, global travel agencies, Fortune 5000 tech companies, and much more have all retained my services for the ultimate goal of increased ROI and to improve search engine ranking. The primary things these businesses had in common were great products and services and a passion for succeeding without taking shortcuts. Guarantees of short-term success are an indication that the company your vetting is a fraud. Google’s algorithm has evolved into a sophisticated version of artificial intelligence that’s learned from mistakes of the past. Google is quick to snuff out those who attempt to game it and even quicker to penalize, or ban, the online business. Success is a long-term play. Those with short-term mindsets are not a fit for my partnership. I build my business on providing a quality experience for quality companies. I will work hard to continue earning your business. I have put my money where my mouth is by changing my pricing plans to offer hourly setups, rather than yearly contracts. I base my SEO consulting business around exposing your online company to qualified leads. I will assess your website’s content and its core structure.  I will audit your target keywords. Together, we will create a plan that’s unique to your business and one that caters to your target demographic. I do not leave my clients in the dark for the sake of continued services. Instead, I consistently educate my clients about current trends and a baseline of SEO understanding. Online marketing is an ever-changing and ever-evolving market that becomes more fruitful with each passing day, but only for those who are paying attention. Whether your business is large or small, I can help you achieve your goals. Together, I will help you determine a focal point. I will put forth a goal-oriented plan of action. My flexibility will work fluidly with your personal needs and ambitions. 2019 could be a banner year for your company. By combining your passion for success and intimate knowledge of your products and services with my expertise, the sky is the limit when it comes to traffic and revenue. I can help take you to the next level. The ROI you have always dreamed about is possible, but only if you are willing to go out and get it. Have you spent hours tinkering with WordPress settings and paying for subpar content, only to find that your competition continually triumphs in the search results pages? If you believe that your products and services deserve exposure, then I firmly believe it is time to get your hands dirty and get to work. Your commitment to making life-changing money is all I need to get started. Your passion for success and my decades of online marketing experience are all we need to start winning. Alongside constant adherence to Google’s quality guidelines and the implementation of sophisticated structural changes, any company of any size can achieve success. Being a mom and pop business does not mean you cannot compete for business against larger, more expansive brands. Today’s Google Search Engine is a place that favors those who strive to provide a quality user experience. Google wants to find you because your business offers excellent solutions that consumers are searching for. With my provided expertise, you will be seen. Just me and my pride and joy. Don’t want to know who you are working with? Many online marketing consultants merely send work overseas or use low-quality SEO staff. In the beginning, you may be unsure of what type of services you need. That is OK, so long as you have a budget in mind, we can create a strategy. First, I must conduct an assessment based on your long-term marketing goals. Having a good marketing strategy is imperative to your success. I will work with your team to develop a winning strategy that works within your budget to boost search engine rankings. I will use in-depth analysis to pull data from your current website. This audit will tell me what areas need improvement. Since no two sites or companies are alike, I make sure my review is specific. I guarantee to give you items that are actionable. Audits can take anywhere from 7 to 25 hours to perform, depending on the size of your website and it is history. Companies are often overwhelmed by keyword research and search marketing. My goal is for your in-house team to focus on the bigger picture, while I do the dirty work. My research goes way beyond data. I look at the users and their behavior and identify patterns and trends that can accommodate future sales funnels. I find the competitive keywords that apply to your business. I look for the low-hanging fruit without blinding myself to the potential in top-level keywords. Natural, helpful content that reads easy and solves problems is what Google wants. Keyword stuffing not only makes the user experience poor, but it also serves up signals to Google’s algorithm that your website might be gaming the system. The more significant aspect of our campaign will focus on the consumer of your product. Google’s algorithm will not be the primary focus of blog posts creation or structural changes. Google wants to naturally rank high-quality websites. So that is where I begin. All companies have competition. Competitors who are beating you in the rankings are doing things right. That said, I will run audits on all of your competitors as a way to broaden our understanding of what keywords are profitable and which structural changes can be most effective. I will not be copying, instead, using as much information as possible to devise a sophisticated campaign. If you previously hired an SEO consulting firm to obtain backlinks, I can look at the validity and authenticity of those backlinks. If the existing backlinks reside on low-quality sites, I can help you disavow and signal to Google that you are not attempting to game their search algorithm. I will help you build natural, organic backlinks. Backlinks should only be on a website for the sole purpose of navigating a consumer to related content. Google looks for backlinks that offer consumers relevant navigation as a source, or for expanded information on a subject. I can help you build quality links. If your site is already ranking competitively, then you may be leery of any significant website redesigns that might negatively contribute to a loss in rankings. I will create a strategy to not only redesign your website but make sure that the impact of a changeover is nominal in the eyes of Google. To do this, I will create a strategy document to serve as our guiding light in the redesign process. Redesigning websites without incurring measurable losses is a specialty of mine. I believe that all changes should be changes that benefit, not changes that are done just for the sake of change. You must have a development team who possesses a solid grasp of search concepts. I offer services to work with companies in such capacity if the need exists currently, or were ever to arise. When you hire in-house search marketing staff, you need to make sure that the person knows their stuff. I can perform some investigative work on your behalf or assist in the interview process. Having the right people in your digital marketing department can make or break your online presence. Does your site have a great layout? I can make recommendations and address any issue as well as make sure that titles and meta descriptions are in place. If it is not broken, then I do not need to fix it. I can implement changes to work with what you already have that works. While your site may have a sharp design, that does not it meets Google’s current technical standards. I am not in the design business as a primary trade; I do not seek to redesign your website unless necessary. I just need to make sure the current design, both desktop, and mobile, are optimized per Google’s best practices. When your traffic or rankings drop, you may panic. Thankfully, there is no cause for alarm. I can figure out what caused the traffic drop and how you can fix it. My goal is to implement actions in place to help you recover your lost traffic. Organic search traffic fluctuations are normal and shouldn’t be alarming. When organic search traffic drops, I will consult you on how to fix and recover the traffic. The devil is always in the data, and I have no shortage of that. I am more than just an SEO consultant. I want to serve you at every level while I work to boost search engine rankings. I want to develop a long-term and fruitful relationship with you and your staff. I want to help expand your business. My hourly consultation fee is $350 per hour. I bill hourly starting at $350, with a $1000 minimum retainer. Most of my clients only need 5-15 hours work performed. If you have an occasional question after a project or task is complete, there is typically no additional charge. When hiring an SEO marketing consultant, remember that selecting the lowest priced company or person can often result in being fleeced. Additionally, it is not uncommon for business owners to end up left holding the bag with a website that’s accrued Google penalties. I take personally any cases of shenanigans. In the end, it makes life tougher for all of us honest online marketers. You need someone who understands your business and has a reputation for success. The focus of your project is your return on investment and having someone that sees and understand your needs is imperative. That is who I am. That is why I am your best option. I am happy to answer questions you may have about your website’s SEO. I can provide you with a Free Custom SEO Consultation and Report. The report alone is a $999 value, and it’s yours to keep. You have nothing to lose, there is no obligation. Want to Work With The #1 Ranking SEO Expert in the USA? Get a Free SEO Consultation Valued at $999!